Fancy a Trip On Auckland’s Historic Steam Tugboat? Take a trip back in time on Auckland’s very own steam tugboat! Ports of Auckland welcomes everyone aboard the William C Daldy for the tenth year! Ever wanted to know what water travel would have been like back in 1935? Well now is your chance. Take a tour aboard the 83-year-old steam tug every Saturday and Sunday (from 29th September to 14th October) to celebrate Auckland’s rich maritime history. These family friendly tours will cruise through the port’s wharves and under the Harbour Bridge. Passengers will experience an all access journey aboard a floating piece of history and discover the inner working of the steam tugboat. Visit the engine room, the heat of the boiler room and the wheelhouse up top; each cruise is accompanied by a detailed commentary on Auckland's maritime heritage. 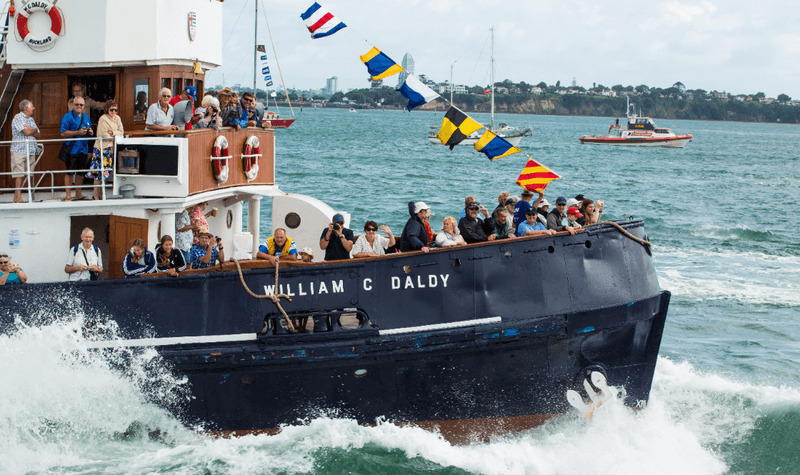 The cost of these sailings are fully funded by Ports of Auckland and proceeds from ticket sales go to the William C Daldy Preservation Society, a group of volunteers who keep the Daldy afloat for Aucklanders to enjoy. Bookings: Bookings are essential as tours fill up fast. Visit https://poalheritagesailings2018.eventbrite.co.nz to book your tour now. Cost: $15 per adult and $5 for children under the age of 16, infants under 2 sail free! Restaurants to book near Fancy a Trip On Auckland’s Historic Steam Tugboat?